I’ve met all of the Daley’s and I would say Rich Daley was never my first choice for Chicago Mayor. Bill Daley has been a voice of reason and fairness. He knows how to wear power and clout and still be a human being. Rich Daley always had a problem living up to the burden placed on him to become mayor because he carried his father’s name. That made him a difficult person to trust. On one hand, he was always warm and friendly. But he easily became angry and petty because of the politics. Bill Daley was different. No matter what I wrote or how I covered the Daley administration, he never would get mad. He’d look at a column and analyze it with clarity. Bill Daley would reach out and want to understand why I wrote something I wrote. 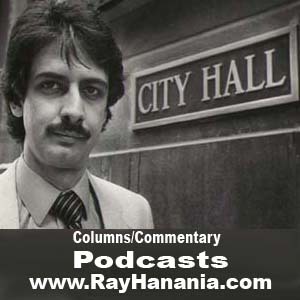 We’d have occasional discussions over the years when I was the City Hall reporter covering successive mayors from Daley to Daley. I briefly met the Boss, Mayor Richard J. Daley but never really got to know him. He was always pleasant to me and always said he cared about the community media, something Rich Daley quickly forgot. But Bill Daley is a phenomenal option and he is going to make a great governor. He has the experience and the skills to do a far better job than a lot of the people who have held the office, including our current governor, Pat Quinn. Quinn’s problem is that he is such an egotist. Quinn spent his entire life fighting the system claiming to be a do-gooder, always failing to achieve what he felt he should achieve. Quinn was all about himself first, hiding behind the do-gooder cloak. Now as governor, he is a patsy for the real politicians. He’s just happy to be the governor even if he is one of the weakest governors Illinois has ever had. Quinn’s problem is that he is disloyal to his principles, to himself and to his friends. I remember Quinn always calling me trying to get coverage in columns and newspaper stories I wrote as a City Hall political reporter. I was always generous to him, even though he was always selfish. When he became governor, he refused to come on my radio show to talk issues because some of his loser friends didn’t like me, including the fanatic activists who work in the Arab community. I am a moderate Arab. My mission is to expose the extremists who have torn the Arab community down to pieces and who enable violence by their refusal to denounce it. On the other hand, Bill Daley respects everyone. He works with moderates and reasoned activists, something Quinn lacks. Quinn is holding the seat for Lisa Madigan, who also would make a great governor. But I doubt Lisa will run as long as Mike Madigan is the House Speaker. Mike Madigan is one of the most brilliant, smartest politicians and government officials I have ever met. And we met in 1978. So in a Bill Daley versus sad-sack Pat Quinn contest, Bill Daley clearly is the better candidate. Though, the powers that be may prefer Quinn, precisely because Quinn is so weak.